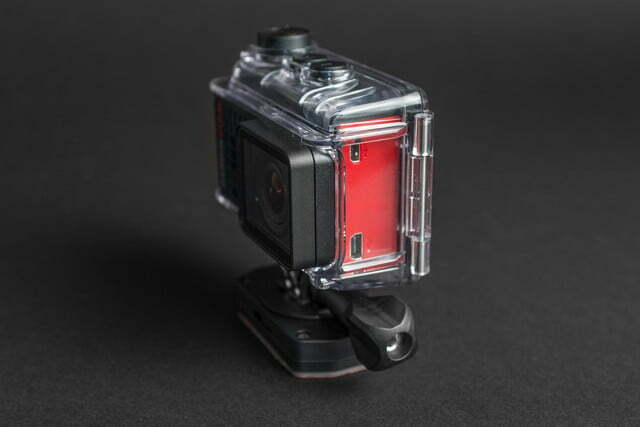 In the saturated world of action cameras, it is easy to assume that there are two broad categories: those that are made by GoPro and those that are not. While this was true at one point, it is simply no longer the case. Garmin, the GPS navigation powerhouse turned wearable tech company, is out to prove itself with the new Virb Ultra 30, which was one of the most full-featured action cameras on the market when it launched on August 31. Boy, what a difference a few weeks make. Since Garmin announced the Ultra 30, both Sony and GoPro have come out with new versions of their flagship action cameras. The Ultra 30’s key selling points no longer stand out from the crowd. 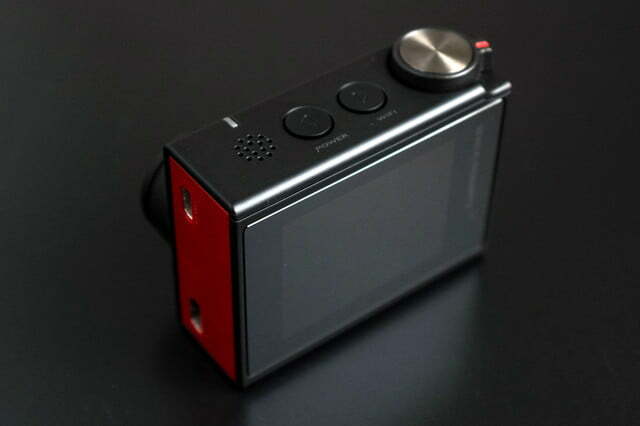 Its electronic image stabilization was trumped by Sony’s optical system; its voice control and integrated touchscreen were matched by GoPro’s Hero5 Black. As such, Garmin has since lowered the price of the Ultra 30 by $100 to $400, bringing it in line with the Hero5 Black. 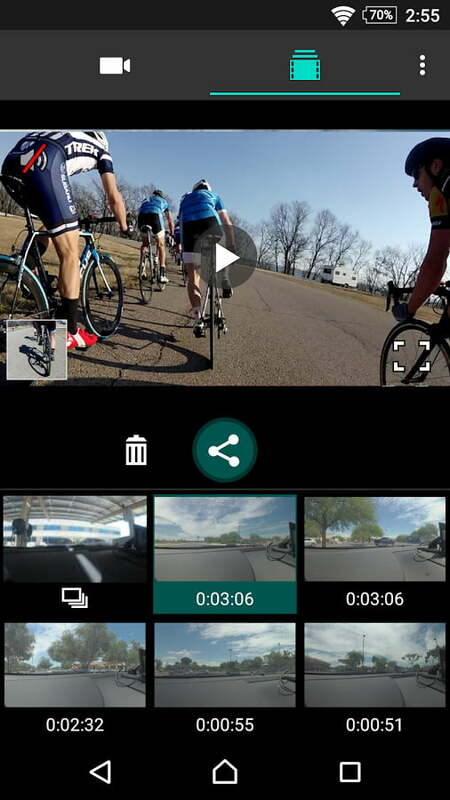 But just because competition is stiff doesn’t mean Garmin’s top-of-line camera is any less good. 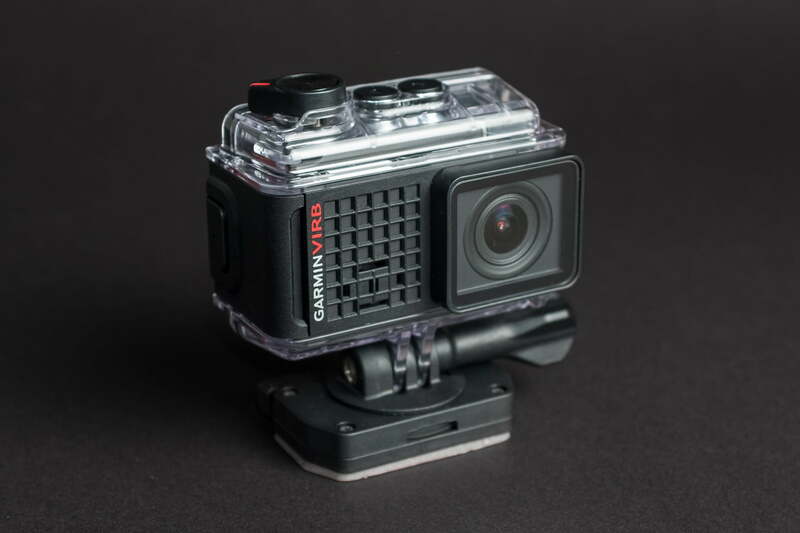 The Virb Ultra 30 looks even more like a GoPro than previous Virb models, and is still compatible with GoPro-style mounts. One of its key innovations is the integrated touchscreen that works through the standard waterproof case, an advantage over the screen on the old GoPro Hero4 Silver that required a special backdoor that couldn’t be used in deep water. However, given the Hero5 Black’s inclusion of a touchscreen and a totally waterproof, case-less design, the Ultra 30 seems less impressive than it once did. As far as using the screen, we found it to work consistently both inside and outside of the case, even when wet. However, it became much less reliable after the case had been scuffed up (crashing a mountain bike is a good way to cause that). Depending on your own level of adventurism, this may or may not be a problem, but for us, it was simply faster to navigate the menu system using the physical buttons rather than try to use the touchscreen through a scratched case. Fortunately, the physical controls on the Ultra 30 are intelligently laid out. 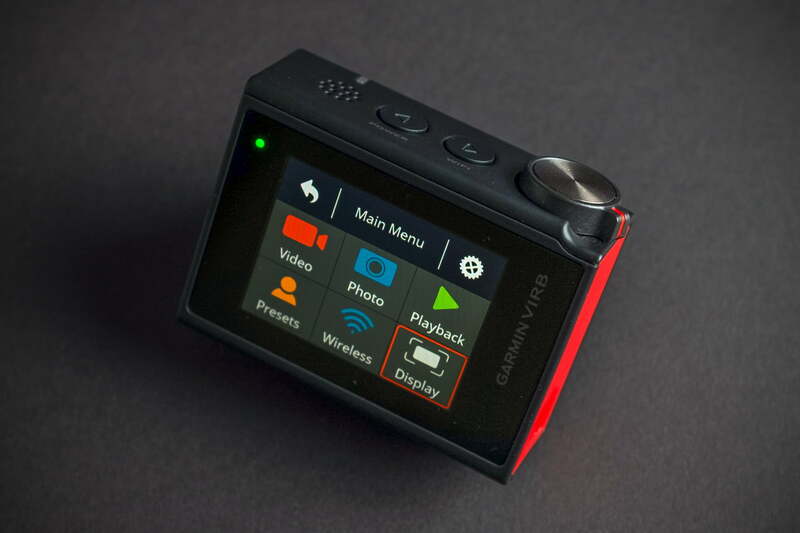 Like earlier Virb models, a dedicated video switch will turn the camera on and start recording automatically. Because it is a switch, and not a button, it makes it very easy for you to know if the camera is on or not, even when the screen cannot be seen. Garmin looked strong out of the gate with the Ultra 30, but competitors have caught up. In our experience, this made all the difference. 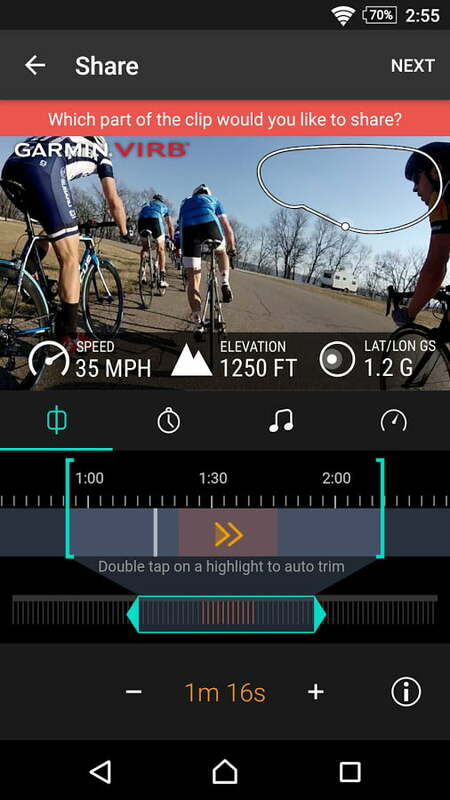 When cycling, for example, the camera could be toggled on and off with one finger, with complete confidence that it was recording when it should be. 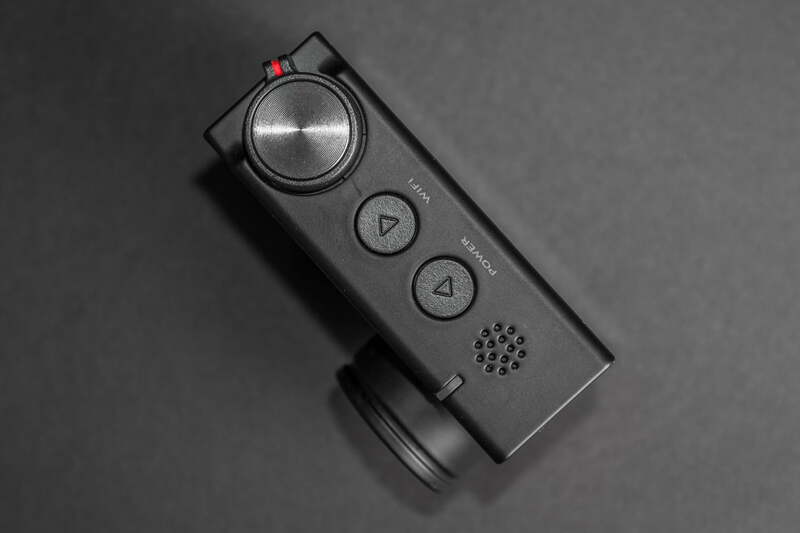 Embedded within the video switch is the still photo button, which mimics the position of a larger camera’s shutter release. Power and Wi-Fi buttons round out the physical controls and serve double duty as navigational buttons when the touchscreen can’t be used (such as underwater or after suffering the aforementioned mountain bike crash). But if neither the touchscreen nor the physical buttons suit your fancy, you can still control the Ultra 30, with your voice. 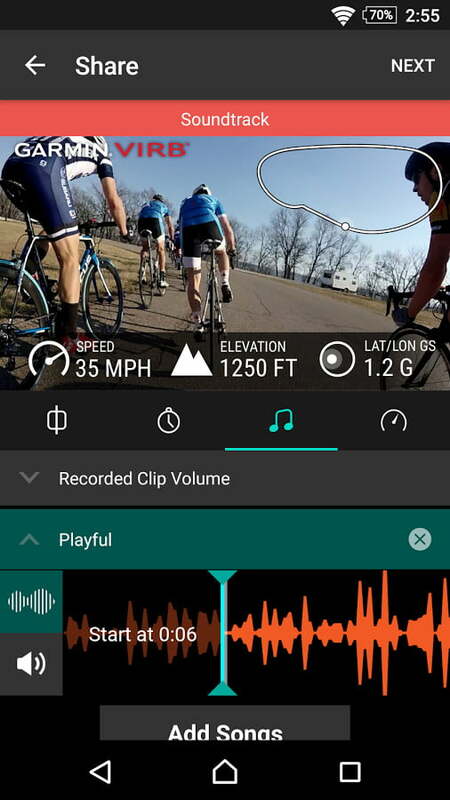 With a phrase borrowed from Google, voice commands must be prefaced with “Okay Garmin.” You can start a video, take a picture, and even say “Remember that” to tag a moment in a video while recording. It worked well indoors and on a calm river, but anyone bombing down a rocky single track probably won’t be able to rely on it. 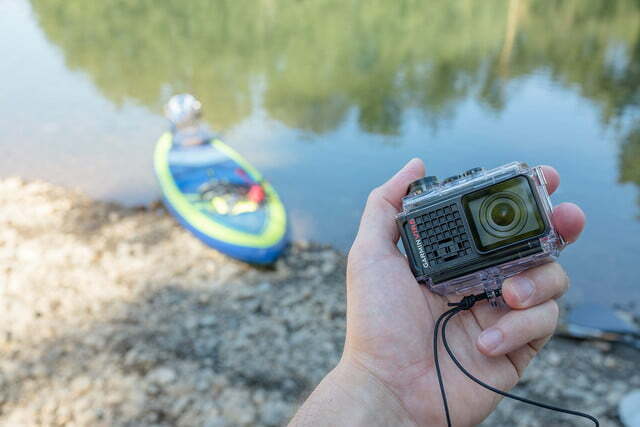 While ease of use is one of the most important aspects of a good action camera, video quality can’t be ignored. 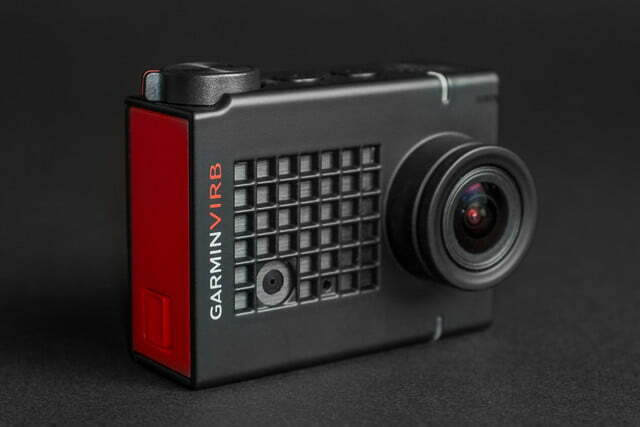 The Virb Ultra 30 is the first Garmin action camera to shoot in 4K Ultra HD, and the footage does indeed look good. As good as the 4K is, however, many features are limited to 1080p. The three-axis electronic image stabilization, for example, simply doesn’t work in 4K or 2.7K mode. Additionally, 4K is limited to the “wide” field of view and doesn’t allow for lens distortion correction to be enabled. In 1080p, two narrower fields of view can be selected, and lens correction does a great job of removing the fisheye effect that otherwise plagues action camera footage. Normally, shooting in 1080p wouldn’t be a big drag for the average consumer. Most of us don’t own 4K monitors or TVs yet, so at the very least we are saving some hard drive space by shooting at a lower resolution. But the problem with things like electronic image stabilization and distortion correction is that they lower the quality of the video when enabled. 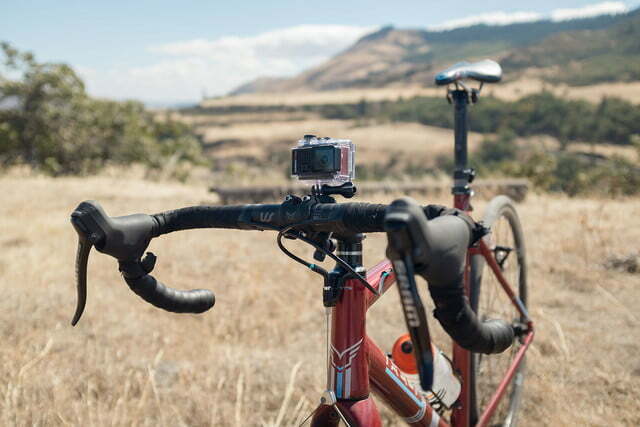 When we first tested the Ultra 30, we were rather unimpressed by the video quality with stabilization turned on. This was with a camera running preproduction firmware, however. 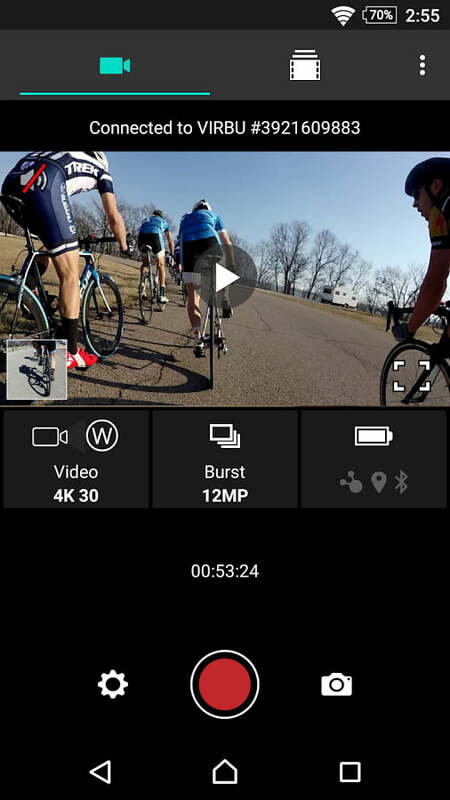 Since then, Garmin has issued a firmware update that improved the quality of stabilized video – it’s still not as crisp as non-stabilized video, but it’s certainly not bad. For any extreme sports use, viewers would probably prefer the stabilized video to nausea-inducing, non-stabilized 4K. Still, it would be nice if it could be used at a higher resolution, at least 2.7K. Garmin’s ace up its sleeve is G-Metrix. This detailed collection of movement, positional, and environmental data is the Virb’s secret weapon. While not new to the Ultra 30, G-Metrix is what sets Garmin apart from the likes of GoPro (although, Sony also offers similar sensor data on its action cameras). The camera has five sensors built into it, including an accelerometer, gyroscope, compass, barometer, and, naturally, a GPS. Together, these provide information on speed, position, g-force, hill grade, and much more. Garmin sells additional sensors that can be connected to the Virb for even more data, such as temperature and heart rate. Despite the active GPS and all the extra data the Ultra 30 is capturing, in our testing we recorded just over 90 minutes of video spread out over a two-hour period on a single battery. While we’ll always take longer battery life if we can get it, that’s just about par for the course when it comes to action cameras, so there are no complaints there. While recording video, the Virb simultaneously writes G-Metrix data to a sidecar file. That file is seamlessly imported along with the video into the Virb Edit desktop app on Mac or PC or the Virb mobile app on iOS or Android. Virb Edit gives you a number of options for displaying G-Metrix data on their videos, with many presets based on activity type. It makes it easy to brag to all your friends about how fast you rode, how high you jumped, or how many in-air rotations you did (yes, no joke). Of course, this also means you can’t just lie about it. Unfortunately, but not surprisingly, G-Metrix can only be decoded by Garmin’s own apps. For experienced video editors, this just isn’t acceptable. Garmin is smart enough to realize this, however, and included an option to export G-Metrix overlays as a PNG sequence with a transparent alpha channel. Yes, it’s an extra step, but it allows you to take those PNGs into your nonlinear editor of choice and overlay them manually on top of the video clips. Just make sure you know where to match the data up, as it won’t be automatically synced at this point. It’s worth noting that the Ultra 30 relies on a USB 2 connection, which is painfully slow when transferring hours of video to a computer. If you have a USB 3 MicroSD card reader or SD adapter, keep it handy. If you’d rather not spend time in front of the computer at all, the Virb iOS app can do just about everything you need. You can view/transfer videos and photos over Wi-Fi, add G-Metrix overlays, and share edited clips straight to social media. You can also live-stream straight to YouTube, complete with G-Metrix data intact. With a recently reduced price of $400, the Virb Ultra 30 still competes with the top tier of action cameras from GoPro and Sony. 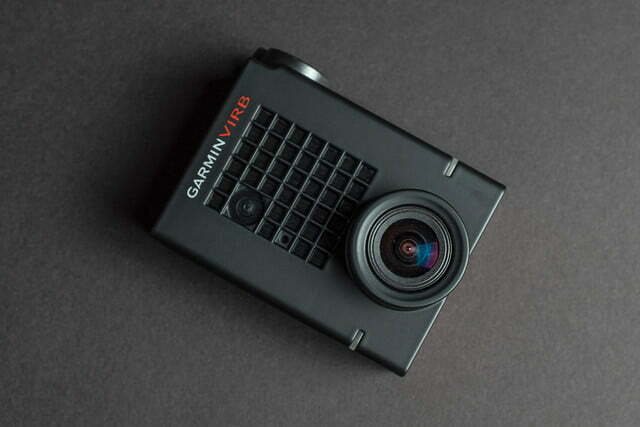 It successfully builds off of the things Garmin already did well, like G-Metrix sensors and the simple start/stop switch, and adds 4K resolution, voice control, and an integrated touch screen. It isn’t perfect, with stabilization limited to 1080p resolution, but it is a solid option that action camera enthusiasts should consider, rather than automatically gravitating to a GoPro. As action cameras continue to grow more alike, it is up to their respective ecosystems to draw customers in. For GoPro, it’s all about creating and managing beautiful footage, from the new Karma drone and removable handheld stabilizer to GoPro Plus membership and Quik editing app. 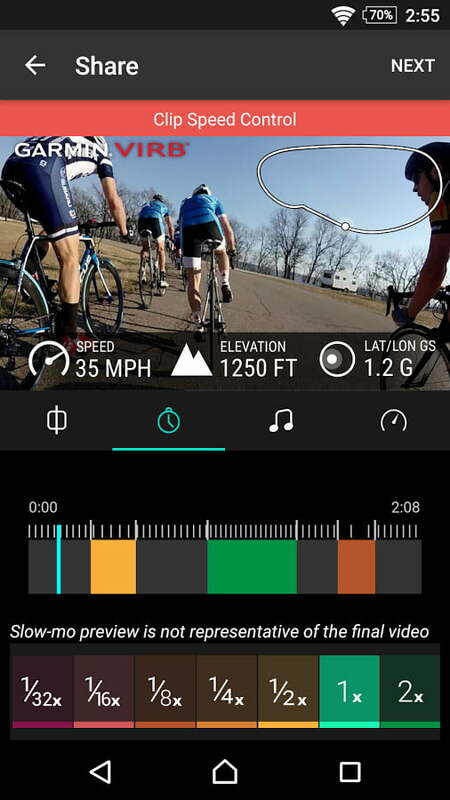 On the Garmin side, it’s about data, with a plethora of optional sensors that add a new dimension to your activity, from heart rate monitors to bike cadence sensors, and more. There may be no wrong answer here: Despite competing for the same customer as GoPro, the Virb Ultra 30 really is a different camera. A closer competitor may be Olympus with its new Tough TG-Tracker, a rugged action cam that includes sensors for logging environmental data. Regardless, after experiencing an action camera that offers such a data-rich experience, it would be difficult to ever give that up. If knowing how fast you were riding or heart was beating matters more to you, then there really isn’t anything else quite like it. 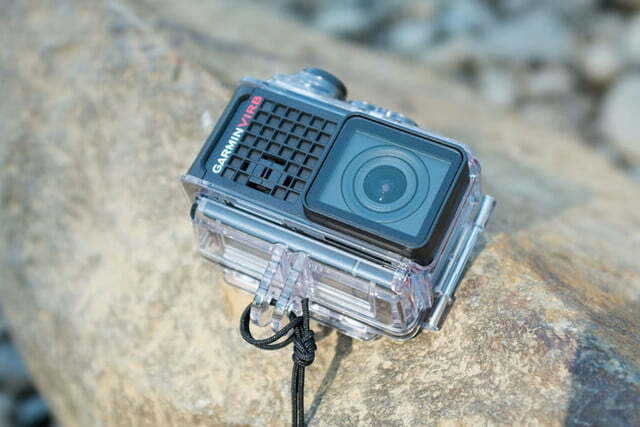 Action cameras lead a rough and tumble lifestyle. Added to that, the tech inside them is updated on a more-or-less annual basis (GoPro’s sluggish journey from Hero4 to Hero5 notwithstanding). But among its peers, there’s no reason to expect the Ultra 30 will hold up any less well than the others. Will it be outdated in a year or two? Probably. But the amount of footage you can log between now and then absolutely makes it worth it. Yes, particularly if data is important to you. The Virb Ultra 30 is a feature-rich, easy-to-use action camera and anyone who hasn’t played around with G-Metrix before deserves to give it a shot. 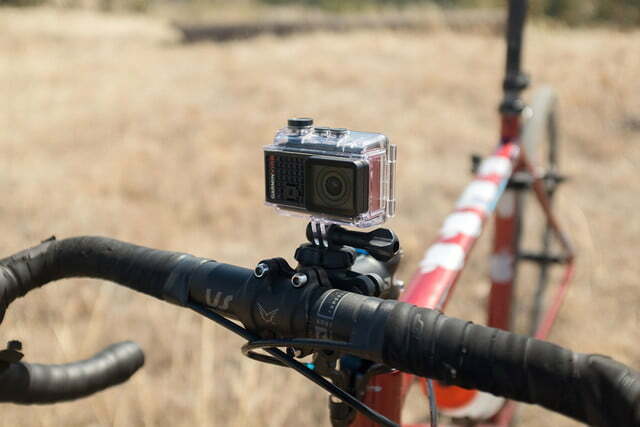 It also happens to be compatible with existing GoPro mounts, which makes switching between brands easy. With that said, new action cameras are coming out all the time, which makes it difficult to know the right time to buy. However, now that GoPro and Sony have shown off their newest flagship models, we have a pretty good idea of how things will look for the next year. The Virb Ultra 30 holds its own in this field and is a compelling choice. If data isn’t your thing, though, then the Ultra 30 doesn’t hold a big advantage over other flagship action cameras.